Planning permission has been granted for 85 new homes in the Canalside area of Wichelstowe, paving the way for the first residents to pick up their keys in autumn 2018. 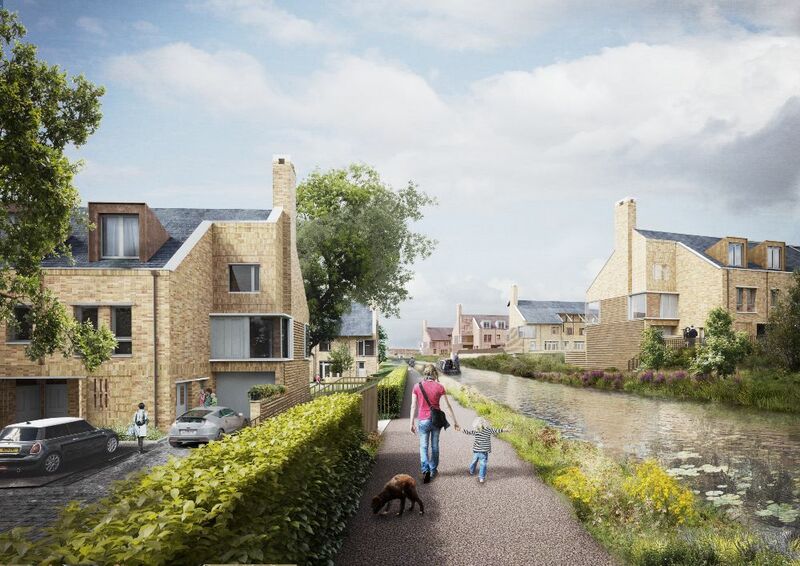 The development of 1, 2, 3 and 4-bed homes, known as Herons Water, will offer both canal-side views and the use of semi-private landscaped squares in addition to their own private gardens. The properties will be offered for sale by the newly formed Wichelstowe Housing Company, a private company wholly owned by Swindon Borough Council. Restoration of the canal which runs through the centre of the site is well underway and construction of the new homes will start in spring 2018. The design has been led by architects Metropolitan Workshop, working in partnership with local architects Stonewood Design. Cllr Toby Elliott, Swindon Borough Council’s Cabinet Member for Strategic Planning and Sustainability, said: “I am delighted that planning permission has been granted and the next phase of housing development will shortly be underway in Wichelstowe. “When complete, Herons Water and Canalside as a whole, will deliver waterfront living complemented by fantastic facilities on the doorstep such as a new District Centre, brand new secondary school and the recently approved flagship Hall & Woodhouse café, bar and restaurant. This latest approval will bring the first residents to Canalside, where work is already underway on the new Deanery CE Academy secondary school and supporting infrastructure. Works will step up in the new year with the construction of the recently approved Hall and Woodhouse pub/restaurant and further planning applications for housing including the MF Freeman development for over 55s.